Hospital wastewater (HWW) represents a major source of the diffusion of many antibiotics and some toxic pathogenic microorganisms in the aquatic environment. Sanitation services play a critical role in controlling transmission of numerous waterborne pathogens, especially enteric human adenoviruses (HAdVs) that can cause acute gastroenteritis. This study intended to evaluate the human adenoviruses (HAdVs) detection rates, to determine the genotype of these viruses and to assess the efficiency of HAdVs removal in hospital pilot wastewater treatment plant (PWWTP) in Tunis City, Tunisia. Therefore, hospital wastewater samples (n = 102) were collected during the study year from the two biological wastewater treatment techniques: natural oxidizing ponds and the rotating biological disks or biodisks. Nested polymerase chain reaction (Nested PCR) was used to evaluate the HAdVs detection rates. The genotype of HAdVs positive samples was achieved by the sequencing of the PCR products. HAdVs were detected in 64% (65/102) of positive wastewater samples. A substantial increase in the frequencies of HAdVs was observed at the exit of the two wastewater treatment techniques studied. The typing of HAdVs species F showed the occurrence of only HAdVs type 41. 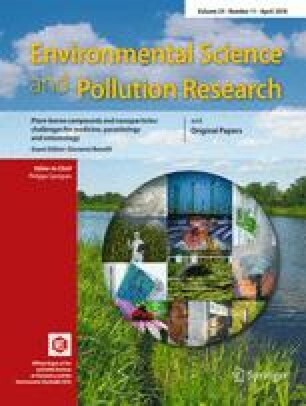 This data acquired for the first time in Tunisia showed high persistence and survival of HAdVs in the two biological wastewater treatment techniques experienced, and mainly highlighted the poor virological quality of the treated wastewater intended for recycling, agriculture reuse, and discharges into the natural receiving environments. Consequently, tertiary wastewater treatment appeared necessary in this case to decrease the load of enteric viruses flowing in the water environment. Our sincere gratitude and thank are addressed to the Tunisian Ministry of Higher Education and Scientific Research and to the National Reference Centre of Enteric Viruses (CNR) in France for their technical and financial support. The HAdVs sequences found in the present study from wastewater samples have been submitted to the International Centre for Biotechnology Information and received the following accession numbers: KT369590—KT369610.